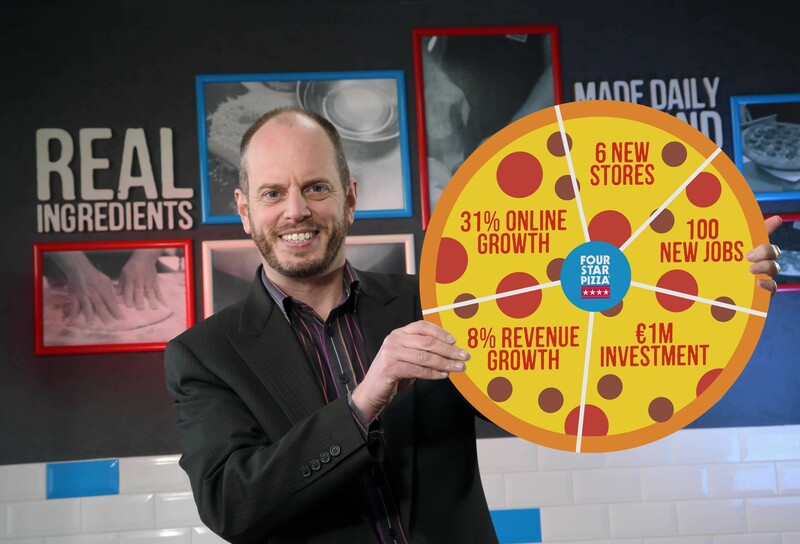 “We are particularly pleased with the growth in our online business, following the launch of our Four Star Pizza loyalty programme and development of our online ordering system to make it easier than ever for customers to place an order with us. This has made a significant impact with online revenue growth of more than 31%. 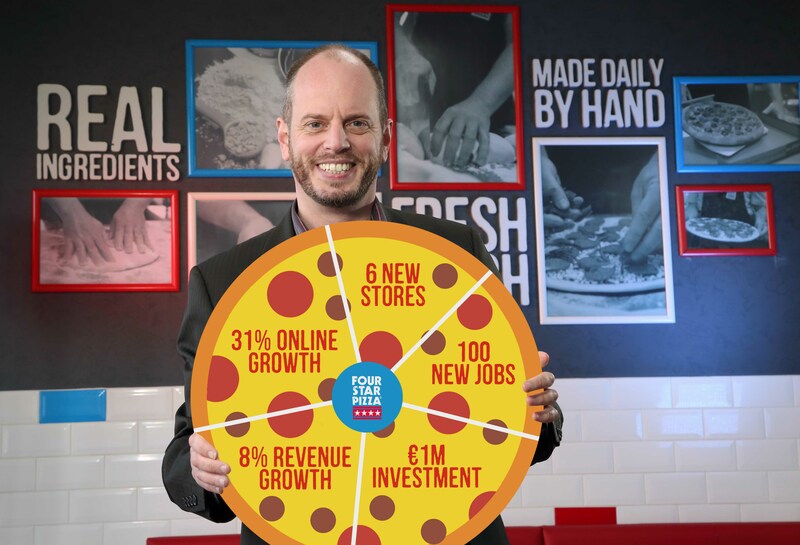 “Whilst we continue to grow in Ireland, we are aware that there is a capacity ceiling here with every franchise having its own dedicated delivery territory as part of its contract. 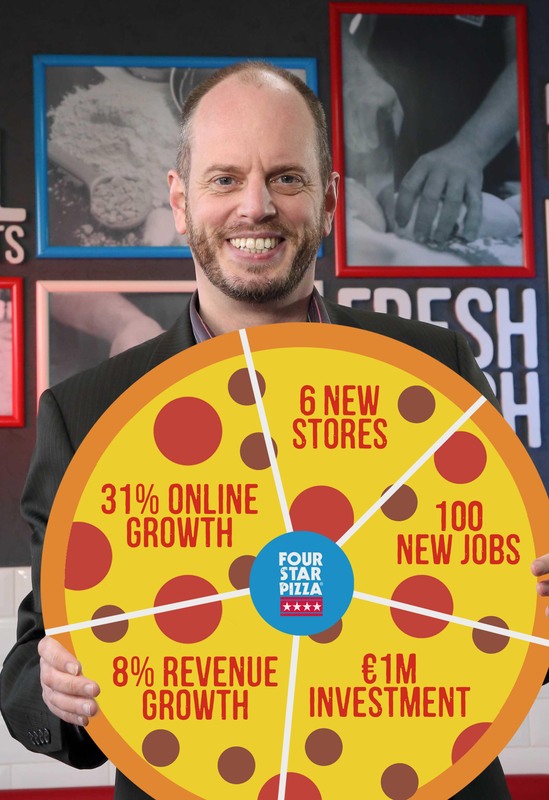 This protects our franchisees by ensuring that we don’t open another Four Star Pizza store just down the road from them. “With this in mind, we have our eyes on the GB market and are actively looking at plans to expand our operations across the Irish Sea. In the meantime, however, we are focused on expanding the brand outside its core markets of Belfast, Dublin and Cork – which have pretty much reached saturation point,” said Brian. MEDIA ENQUIRIES: For further information, please contact Michael Rafferty or Cathal Delea of Duffy Rafferty Communications on +44 (0) 28 9073 0880.